Mladá Boleslav/Frankfurt, 4 September 2017 – Curtain up for the new ŠKODA KAROQ. The traditional Czech brand presents their new compact SUV at the IAA in Frankfurt. The ŠKODA KAROQ will be making its public debut at the ŠKODA stand in hall 3. 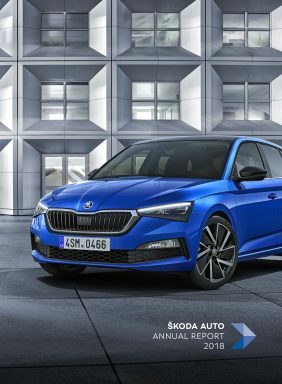 A first for ŠKODA: a digital instrument panel. The SUV also comes fully networked with LTE module and ŠKODA Connect. Its emotive and dynamic design with crystalline features characterises the brand’s new SUV design language. ŠKODA will be presenting the SUV alongside a host of new models in hall 3 from 14 to 24 September. The ŠKODA KAROQ is a sport utility vehicle with character: its emotional and dynamic design with numerous crystalline elements showcases ŠKODA’s new design language. The compact SUV measures 4382 mm in length, 1841 mm in width and 1605 mm in height. The long wheelbase of 2638 millimetres guarantees plenty of room for passengers. The boot has a volume of 521 litres with the rear seats in the default position. Folding the rear seats forward increases the boot capacity to 1630 litres. ŠKODA has incorporated several ‘Simply Clever’ ideas into the new compact SUV including the virtual pedal, which opens the boot hands-free and the optional VarioFlex back seats. In combination with the VarioFlex rear seat, the storage space is flexible and holds between 479 and 588 litres. The VarioFlex system consists of three separate rear seats that can be individually adjusted and completely removed – the compact SUV is then converted into a van with a maximum load volume of 1810 litres. 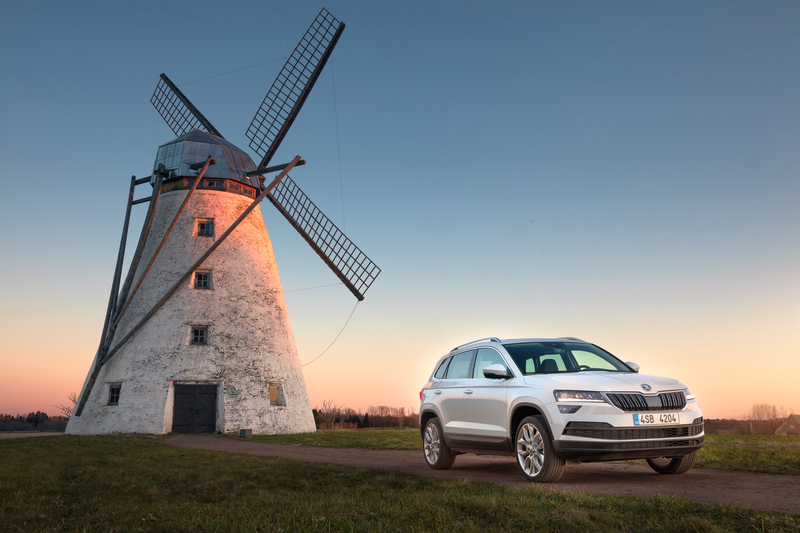 The ŠKODA KAROQ chassis sets new standards in its segment, demonstrating its quality even off the beaten track. From the Ambition equipment line up, driving profile selection with the modes Normal, Sport, Eco, Individual and Snow (4×4) is available on request.